Apparently I am on some sort of breakfast kick or at least that seems to be the theme of my posts this week. 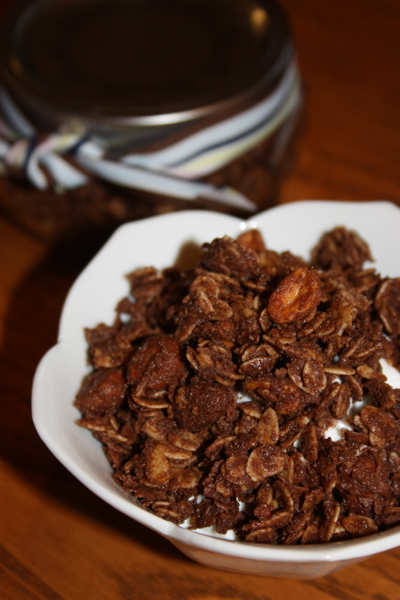 I saw a recipe for this granola over the weekend, and knew I had to try it. We were out of our normal granola and I had just bought a large container of plain greek yogurt so I knew granola was in my future. This recipe was incredible and ultra easy. Not only does it come together easily–I even had everything on hand. 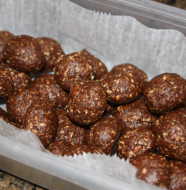 I always keep a variety of nuts in my freezer (no, Jeffrey doesn’t stay in the freezer) as well as shredded coconut. (Nuts and shredded coconut last forever in your freezer it seems.) I had the granola cooking in the oven yesterday while I was finishing up dinner and it smelled heavenly. 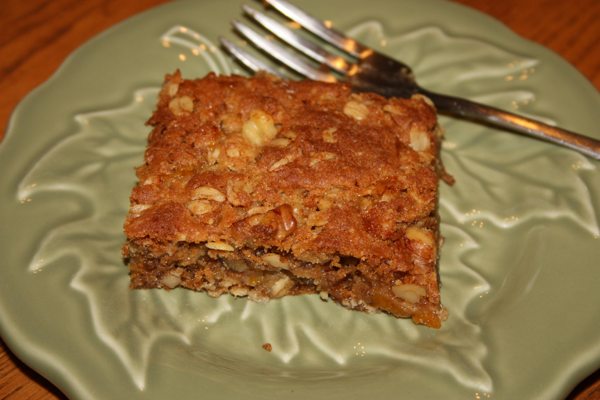 As it came out of the oven, I sampled a bite and was head over hills in love with this new granola. I was more excited to have granola and yogurt for dessert last night then my yummy pot of white bean soup that had been simmering all day if that tells you anything about how irresistible the granola was. Needless to say, I had no problem deciding on my breakfast this morning. Coffee, greek yogurt and granola. What a way to start my day! I could go on and on about how delicious we found the granola, but I think you owe it to yourself to make a batch and test it out yourself. William even enjoyed it this morning and had it with plain greek yogurt. 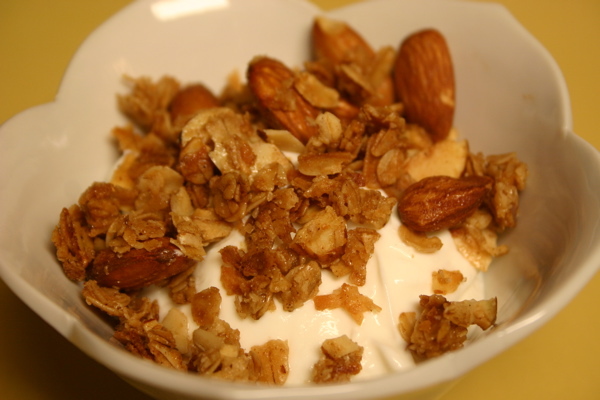 (I normally have to sweeten his yogurt a bit but not when it was topped with this granola.) The coconut adds the perfect sweetness. I think I will fix another bowl right now. It’s that irresistible! Spread mixture onto a large stoneware bar pan (my preferred method) or large rimmed cookie sheet (lined with either parchment paper or a silpat liner to keep granola from sticking) and bake for about 25 to 30 minutes, stir twice during baking to ensure even browning. Remove from the oven, let cool and store in an airtight container for up to two weeks. I love the whole almonds in addition to the sliced almonds. 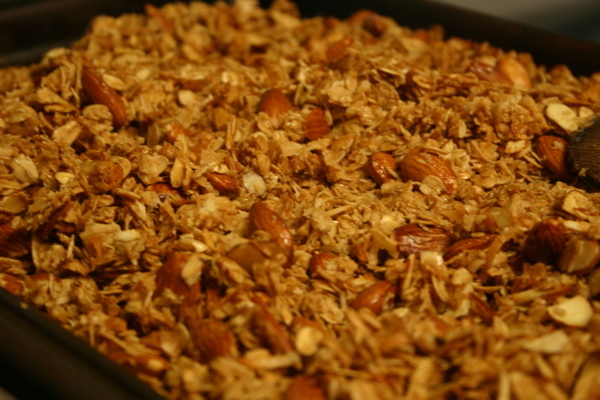 You won't be able to resist nibbling on the granola fresh out of the oven. 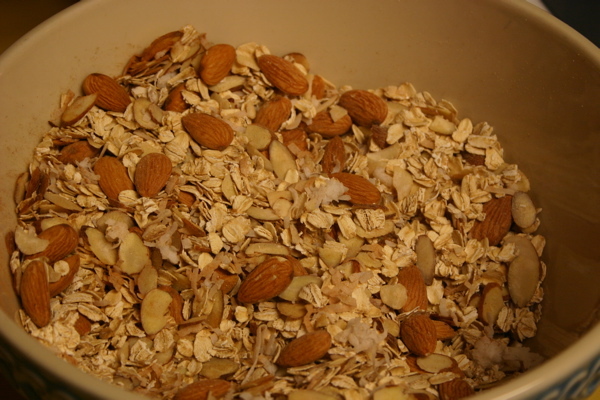 6 Comments on "Coconut Almond Granola"
I can’t wait to make this again. I cooked it a little too long, but my husband says it’s delicious. This will definitely be available in my pantry for snacking. Thank you, Dinah. Give Nani ((((Hugs)))) for me. Made this last night and the smell of it cooking is enough to make it a staple in our house, not to mention it’s DELICIOUS!